As I mentioned previously, there is very little that is actually know about the first people to reside on the island of Aruba, but there are a number of archaeological digs going on in the area on an almost constant basis to determine a little bit more about the people. What we do know however is that the area for inhabited for many hundreds of years before the Spanish arrived (more on those a little bit later on). In addition to that, we know that that the people who settled here were known as the Arowak Indians, and for the most part they shared a similar culture to the nearby continent of South America. This has been determined by the style of drawings in the many caves here, and of course, the fact that the dead ended up being buried in large urns. This is something that we also saw in the Amazon rainforest, which does sort of indicate that the inhabitants came from around this area, or at least they were joined at a later point where the cultures began to merge. Other studies have shown that people could been inhabiting the area from around 2500BC. At this time they tended to be a purely hunter and gatherer society, although there also appeared to be a bit of structure in the society. 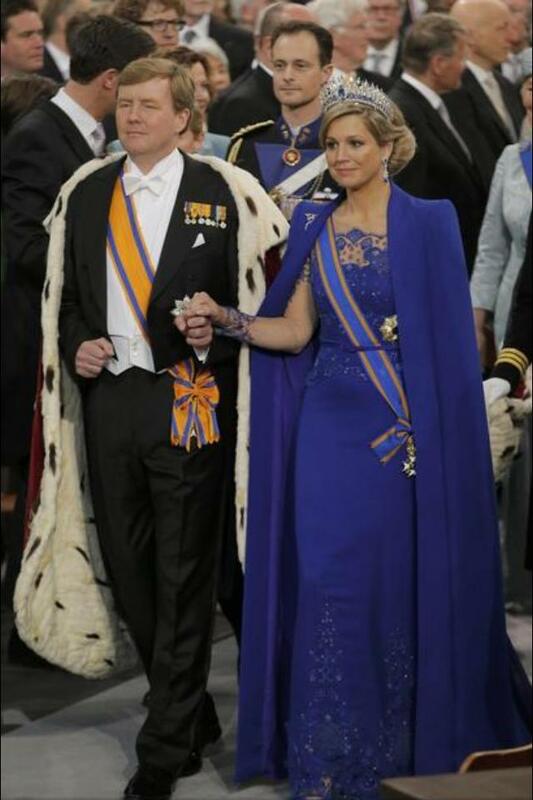 Other findings have shown that men tended to hold a prominent place in society. Over time, the society became a lot more advanced, with signs indicating that they began to produce pottery, this was around 900BC. Over the years, there have been a number of digs near Venezuela, particularly around Coro. A lot of pottery was dug up around here, which did bear a resemblance to the pottery which had previously been found in Aruba. The methods for making this property was also fairly similar to those that lived on Aruba, not to mention similar tools, and of course cultures. Digs have been going on in the area of Aruba for at least two hundred years, with some of the most revealing happening between 1880 and 1886. As you can see from what I have mentioned previously, it certainly isn't easy to determine who the original inhabitants were. Although it is likely they were from South America, and it is also likely that they came from a number of different parts of South America and let their cultures merge. Who knows, maybe at some point in the future, there will be that one big find on an archaeological site which shows us exactly who this people were, and perhaps more importantly, why they even ended up coming to the island in the first place. Now we are going to fast forward a few years, many hundreds in fact, to find out a little bit about one of the most defining points in the history of Aruba, Spanish rule. 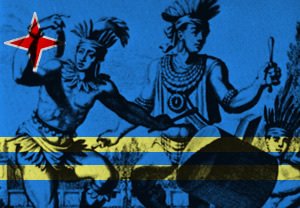 Starting from today, In-Aruba.Com is rolling out a summary about the rich history of Aruba. All across the island of Aruba, there are constant changes to the shacks all across the land. The majority of small café shacks are beginning to turn into elegant, beautiful restaurant. As well as seeing continental dinners and restaurants opening up all the time, more Aruban cuisine restaurants are beginning to open up, providing tourists with the chance to try out some brilliant cuisine. With a very unique layout of the restaurant, placing even some tales in the water to allow you to have a water experience when enjoying your meal. Set in Savaneta, this Aruban restaurant offers some extremely different dishes, from shrimp casseroles to barracuda. While seafood is the main dish on offer, there are various types of steak and other great meals that are worth trying – overall, a fantastic and cheery restaurant which is very easy to enjoy, and well-priced. With a very different to your average restaurant, this luscious restaurant provides you with a fantastic red glow as you enjoy your meal. 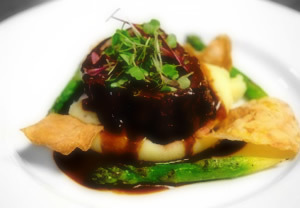 With food as outstanding as it looks and smells, the real style in the food here is the succulent tastes. Anything from duck liver crème and grilled lobster, to shiitake-and-pine sauces with a tenderloin steak, there is a massive amount of selection and quality at Screaming Eagle. One of the biggest premiere restaurants in the whole of Aruba, opened in 2007, is by far and away one of the most popular restaurants and well-respected in the whole island. Named after a sea goddess, the huge cuts of meat provide you with a fantastic grilled taste, where value and quality trumps presentation. Yemanja is a no-nonsense restaurant, there is a fantastic array of selection on the menu, while making sure the restaurant is extremely fun and comfortable to sit in and enjoy. Overall, Aruba offers a lot of restaurants, and the beauty is that lots of restaurants offer different styles of food. This means you can really get a lot of different styles of food from everywhere you enter – Aruba is certainly somewhere which has a very underrated food culture, and we highly recommend you check it out. If you are looking for a fantastic place to visit for a vacation, then you honestly cannot look any further than Aruba. This is the perfect place for singles, couples and families alike to grab a couple of ways, engage in some waters sports, and of course, have a little adventure exploring the vast landscape of this island. Of course though, we all know about the vacation opportunities about Aruba, what many people don't realize however is the rich history surrounding this beautiful place. Let's have a quick look at how this wonderful area has developed into the Aruba that we all know and love today. Let's start with the original inhabitants of the area, we often refer to these as 'Indians'. Now, I won't lie, not much is really known about those that originally inhabited Aruba, although the influence they had on Aruba is still being felt today. In fact, just by reading the name 'Aruba' you are already looking at some of the influence they had. This word is Indian in origin, and it is believed to be the words Ora and Oubao, which means Shell and Island respectively. There is also another translation which could indicate Uru and Oubao, which means literally Canoe Island. In recent years, many people have actually been veering towards the second option here as they believe that the island was originally inhabited by Indians that used canoes to get across. Sadly though, it is unlikely that we will ever know the origin of the name. 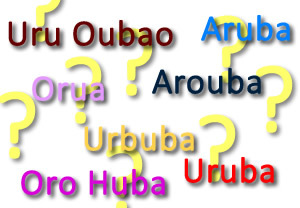 It was until the 17th Century when variations of Aruba started to appear on maps, this included words such as Orua, Urbuba, Arouba and Uruba.